If you are looking for an opportunity to pick up a good buy on the Costa de Sol then we have a potential bargain which you will find very interesting. Almost daily we have people coming to us saying that they are looking for a deal or a good buy. Here we have an opportunity which is not to be missed. 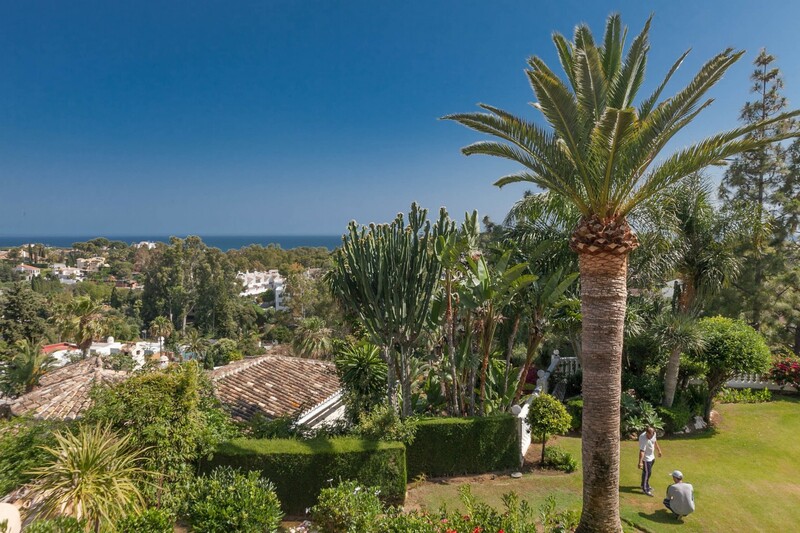 Located on the slope s of Sitio de Calahonda, within easy reach of the shops and beaches and only 10-15 minutes away from Marbella we have a building plot suite able for 2 or 3 villas. There was an approved project to build 3 villas and although this has lapsed it is still available as part of the sale and it can either be re-invigourated or you can start again with your own project. We have spoken to the Town Hall who tell us that the 3 villas are still feasible. According to the deeds the area of the plot is 2576 m2 and it affords fabulous views to the Mediterranean sea as can be seen from the photos which was taking from the adjoining house. The plot is going on the market with an asking price of 345,000 Euros but we know that the Vendor will be very flexible on the price for a quick sale. If you are looking for a bargain, this could be your opportunity either to develop or just to sit on the land and take the gain in the future. Have a look at the full details and you can see the proposed plan for the 3 houses and we can also show you the full project in our office at any time,. Hurry because we do not intend to let this one hang around for long! For more information call us on on (0034) 952 90 52 00 or send us an e-mail to and we will make all the arrangements. Be sure to include your telephone number and we will call you back as soon as possible. Quoting the reference MMM5680M will help us deal with your enquiry with more speed.